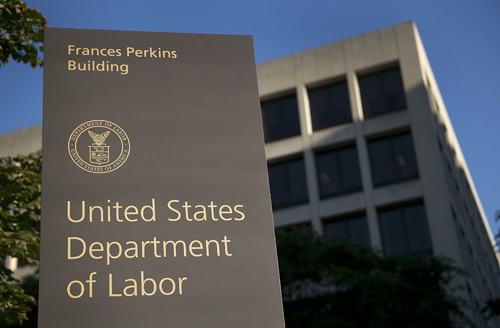 The Department of Labor released its much-anticipated fiduciary rule earlier this month, and the Riskalyze team has been hard at work to bring solutions and resources to advisors. See our full press release below and download our white paper at the new dol.riskalyze.com. • Riskalyze stitches together its product line to offer specific solutions for advisors and firms in light of the Department of Labor’s (DOL) fiduciary rule. Riskalyze, the company that empowers thousands of advisors to align each client’s investments with their Risk Number®, today announced a unified solution to address the compliance implications of the Department of Labor’s (DOL) fiduciary rule. Riskalyze is stitching together its product line with updates, allowing advisors and firms to turn these industry challenges into opportunities. Advisors are already beginning to leverage the Risk Number® to demonstrate that they are acting in a client’s best interest. Riskalyze allows advisors to easily showcase alignment between portfolio construction and investor risk tolerance. While the implementation of the Best Interest Contract Exemption (BICE) will be less cumbersome than originally feared, advisors will still need tools to manage the procurement of BICE forms. Riskalyze will automate the documentation a point-of-contact audit trail at each stage in the client relationship – from education, to investment recommendations, to client reviews. Updates to Compliance Cloud will assist supervision teams in light of these new industry dynamics. Firms are now subject to increased legal exposure from breach-of-contract lawsuits when operating under one of several exemptions in the final rule. Compliance Cloud will empower teams to zero in on problems such as missing BICE documentation, mismatched risk objectives, high-risk positions, a high rate of 401(k) rollovers, or hyperactive accounts that may be abusing commission-based compensation. Autopilot, Riskalyze’s digital advice platform, addresses an industry challenge presented by the DOL rule’s aversion to commission-based compensation. As a result to the rule, many firms will drop smaller, commission-based accounts because their perceived compliance risks outweigh their potential estimated revenue. Advisors will leverage digital advice, married with automated asset management, to convert commission-based A-shares into fee-based accounts. The power of the Risk Number® on Autopilot will showcase best interest alignment and allow these accounts to be covered under the DOL’s fiduciary standard. To provide a much needed resource to help advisors understand how the compliance landscape has changed, Riskalyze, in partnership with Beacon Strategies, has released a white paper titled, “No Need to Panic: A Roadmap to the DOL’s Final Fiduciary Rule and What It Means for Firms and Advisors.” Both firms have made the resource available for free at dol.riskalyze.com.